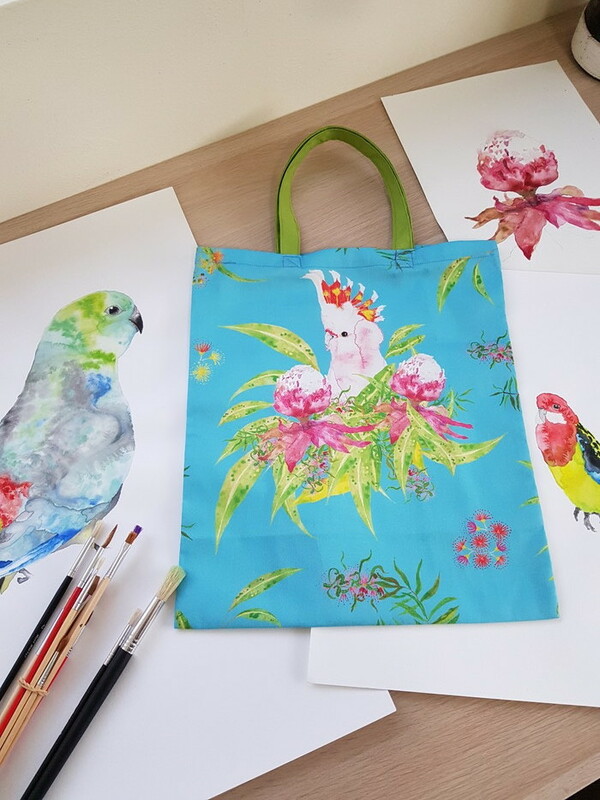 Our handsewn bags feature our favourite Pink Cockatoo and beautiful Waratah flowers nestled in gum leaves and blossom. The other side also features Australian parrots and gum blossom. 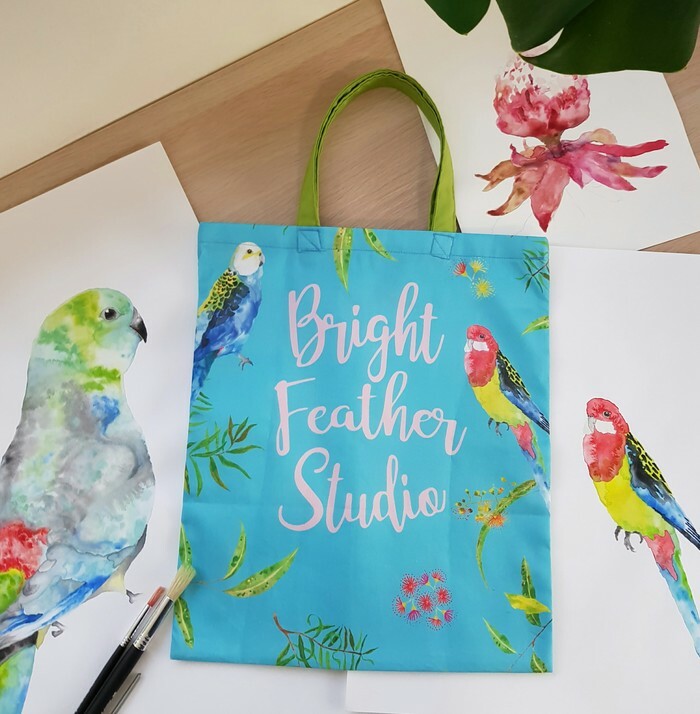 Our designs are created from original watercolours by Tiffany and digitally printed onto premium fabric and would make a lovely gift. The bag is made from strong cotton twill fabric with green canvas handles. It measures 38 x 33cm plus handles and comes in a clear cellophane bag.